Map of the properties. Please contact us for more details. $1,000.00 USD / $2,000.00 BZ PER ACRE!!!! OFFERS WILL BE ACCEPTED BY THE OWNER! 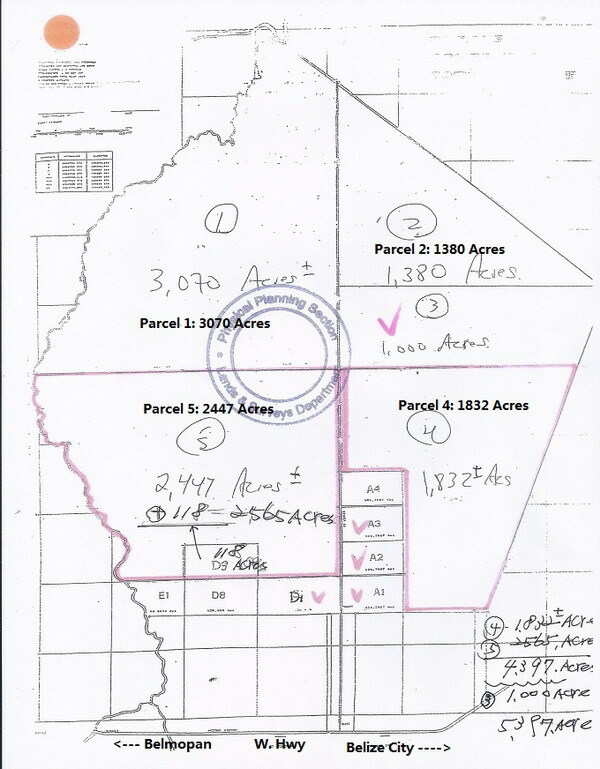 BIG parcels of land such as these are rarely offered in Belize nowadays. A big opportunity for the investor(s) with the means to acquire such an amount of land. Belize land used to be abundant and cheap to get. Those days are gone, but sometimes a deal like this will hit the market. We understand that this is not for the average buyer. All questions will be answered for the interested person(s). Just use the inquiry form below.